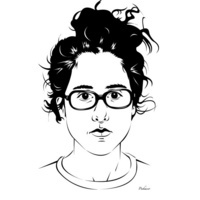 The Graphic Design department welcomes Nicole Killian, whose work investigates how the structures of the internet, mobile messaging and shared online platforms affect contemporary interaction and shape cultural identity from a queer perspective. Killian is interested in the repetition, looping and dissemination of content. She has exhibited at Emily Carr University in Vancouver, Kunsthall Stavanger in Norway, Sediment in Richmond, CAVE in Detroit, Arcadia Missa in London, Present Works in Milwaukee, Little Berlin in Philadelphia, Embassy in Los Angeles, Sadie Halie Projects in Brooklyn, Nomade Gallery in Hangzhou and Dreamlands: Immersive Cinema and Art at the Whitney Museum of American Art for Lorna Mills’ Ways of Something. She recently served as guest editor for the Walker Art Center's Sounboard and organized How Will We Queer Design Education without Compromise?